Love you Mark……adhesions (scar tissue) not uncommon after abd. surgery…..get well soon!! Thanks for the update regarding Mark. I was thinking this morning that he hadn’t been around in awhile. Hope your doing ok mark . Thank you, Henry, excellent! It’s omnipresent and it’s closing in day by day. Yes! Sending You….Much Love and Hugs, From The Trenches! Hi Mark. it hurts to think of you hurting. I have a little candle lit for you with a prayer that you feel better soon and are back to normal. You are brother to so many of us, a true champion, always bringing the story. I hope you know you are loved and cherished, not to mention respected. I have learned so much from you, not just about the corruption of the world, but about courage. Many years you have signed your name to piercing articles that pull away the curtain of deceit. Much gratitude for that. Stay STRONG Brother. I love you and I have faith that you will get through this. 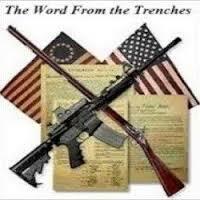 If there is anything we in the Trenches can do, call out and we will do everything we can. Sending you prayers and blessings of healing and strength. I came across this video thought y’all might want to see it. Thanks, Brian. Doesn’t look like “conjecture” to me. Looks like covert operations, and it’s likely that scenes like this are happening in multiple places. I mean, what else do they do with the thousands pouring in? The hiding aspect seems a smoking gun.